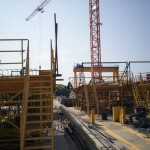 Cebus Rimon Industrialized Construction Ltd. 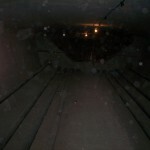 ASPIRE Magazine, Spring 2009, Craig Finley, P.E. 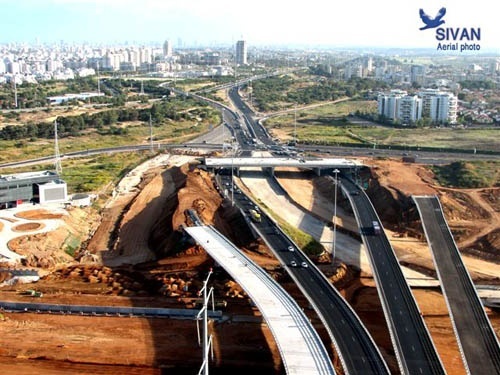 Road 431 is a lateral access road toward the Cross Israel Highway (Highway 6) and constitutes the southern traffic artery of the ring road surrounding the Greater Tel Aviv Metropolitan Area (Gush Dan), consisting of Ayalon Highway in the West, Highway 6 in the East, and Road 531 in the North. 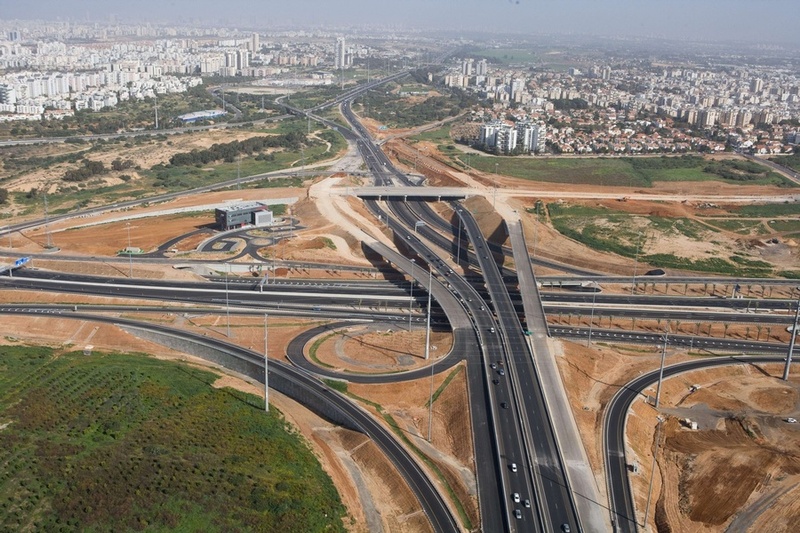 The road connects between Rishon-Letzion in the West and Modi’in in the East. 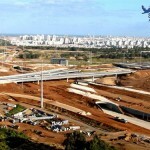 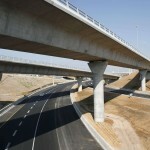 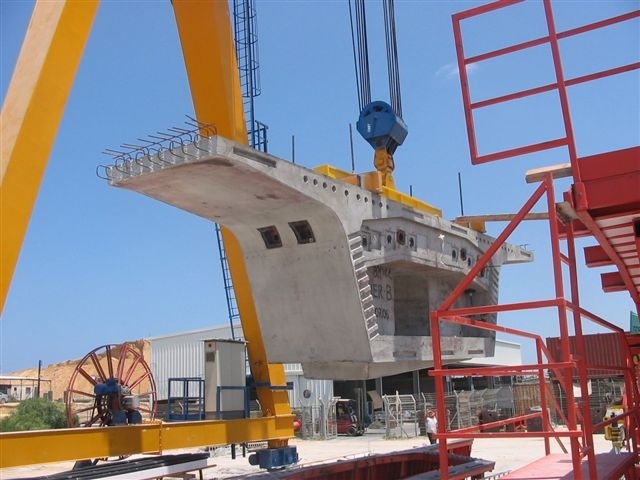 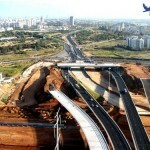 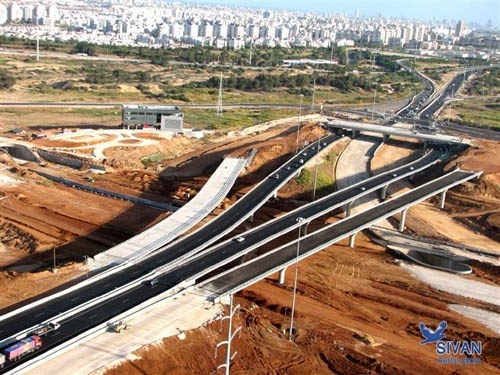 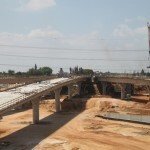 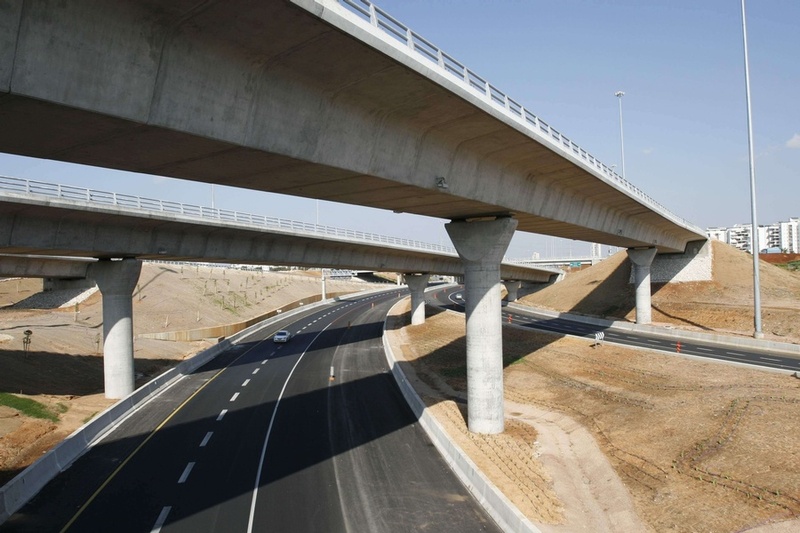 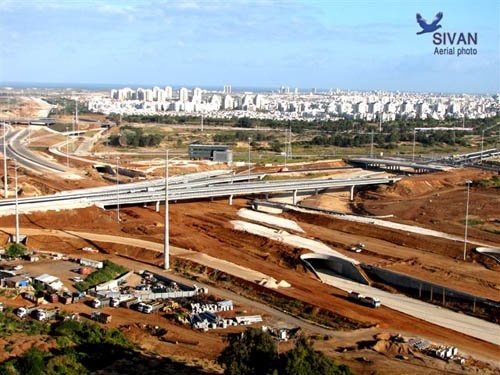 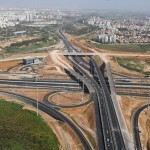 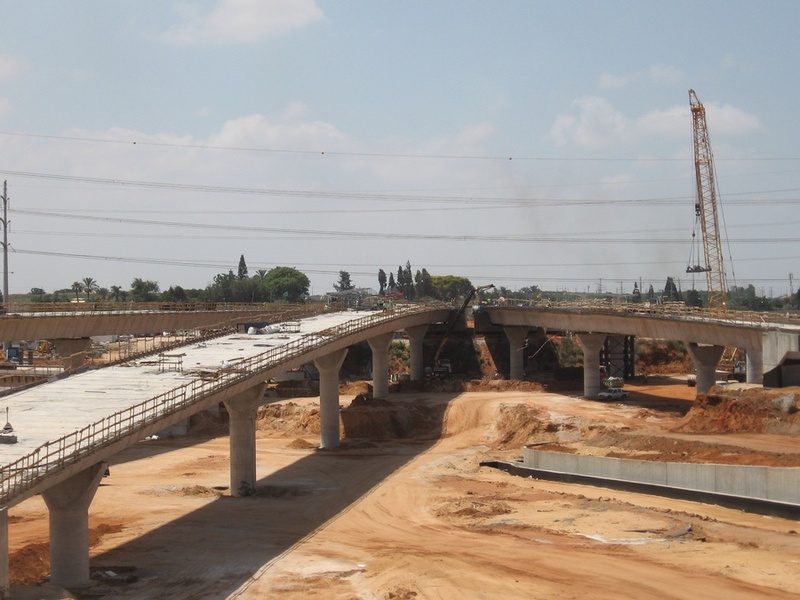 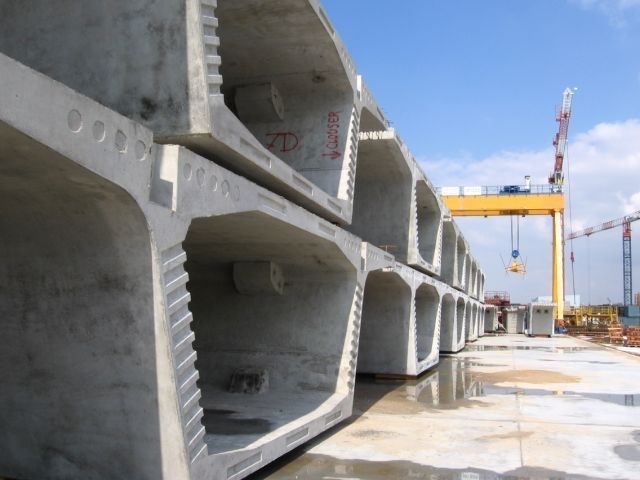 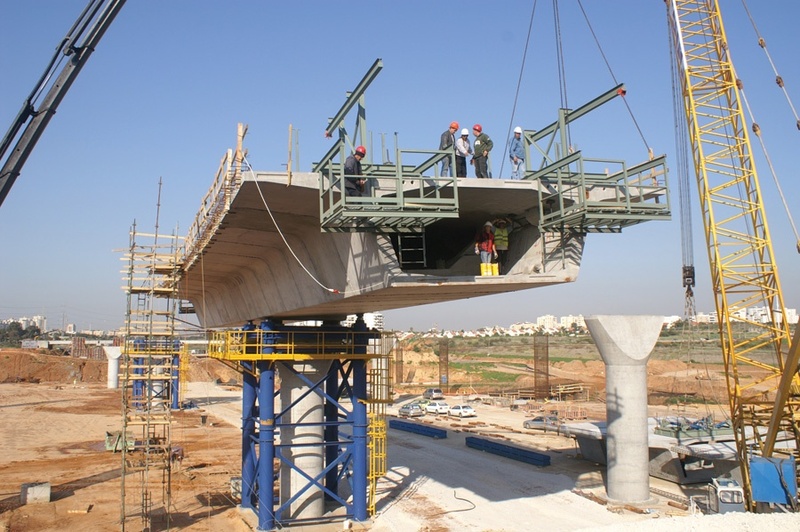 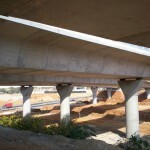 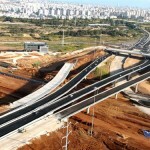 The Road 431 Project is the first in Israeli bridge construction history to use external tendons. 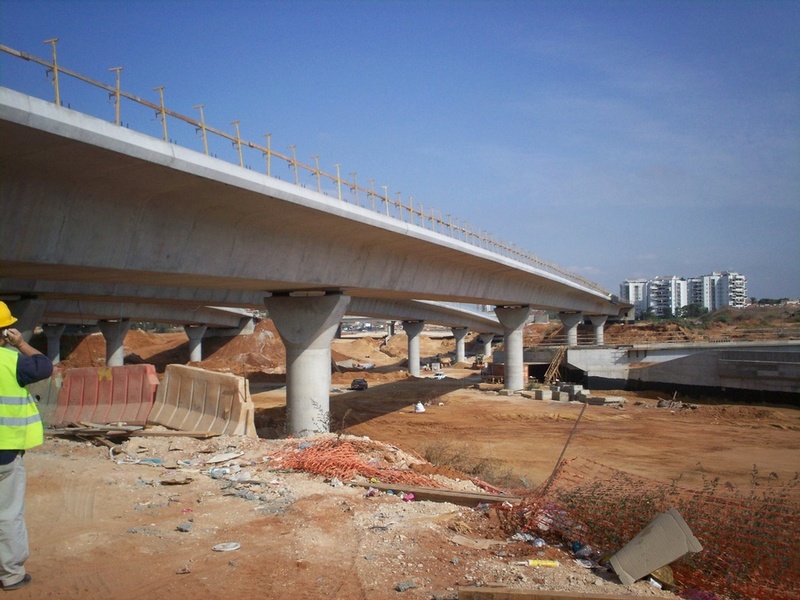 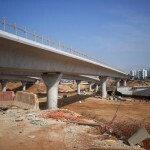 This project consists of an interchange with six precast segmental bridges. 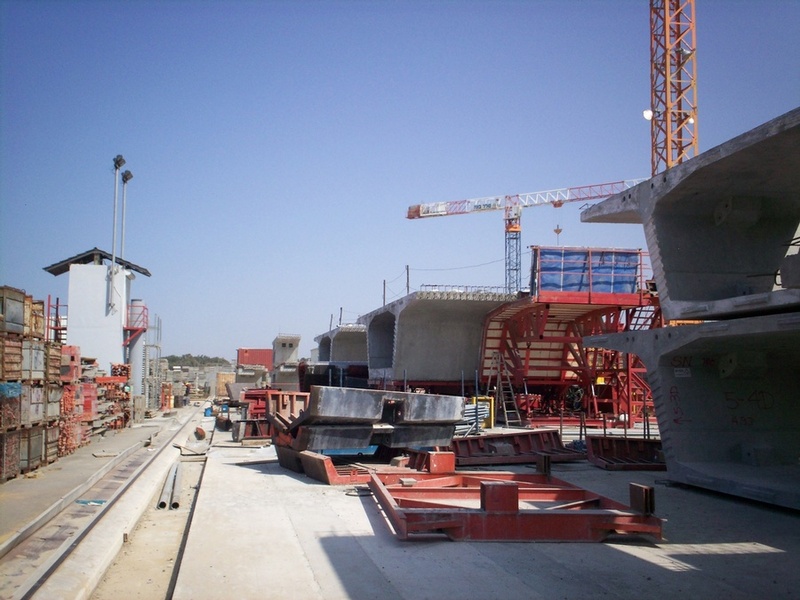 These 12.5 m-wide bridges will have span lengths ranging from 30 to 66 m and will consist of 501 precast segments with a total deck area of more than 18,000 square meters. 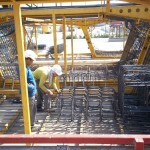 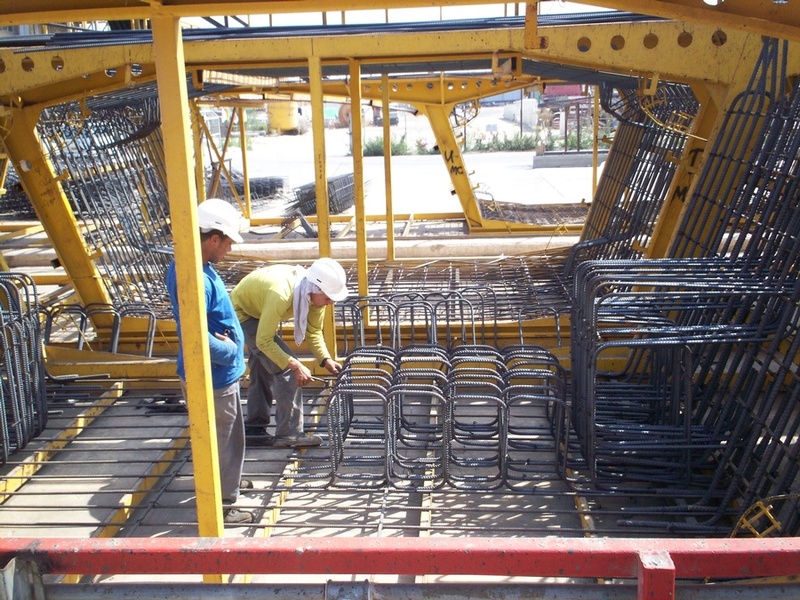 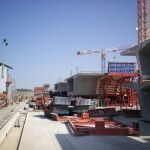 The use of external tendons provided simplified precasting details, rapid erection procedures, and improved long-term durability as well as technical advantages in the bridge design, such as increased ductility for flexural movement resistance and a significant reduction in principle tensile stresses in the box girder webs. 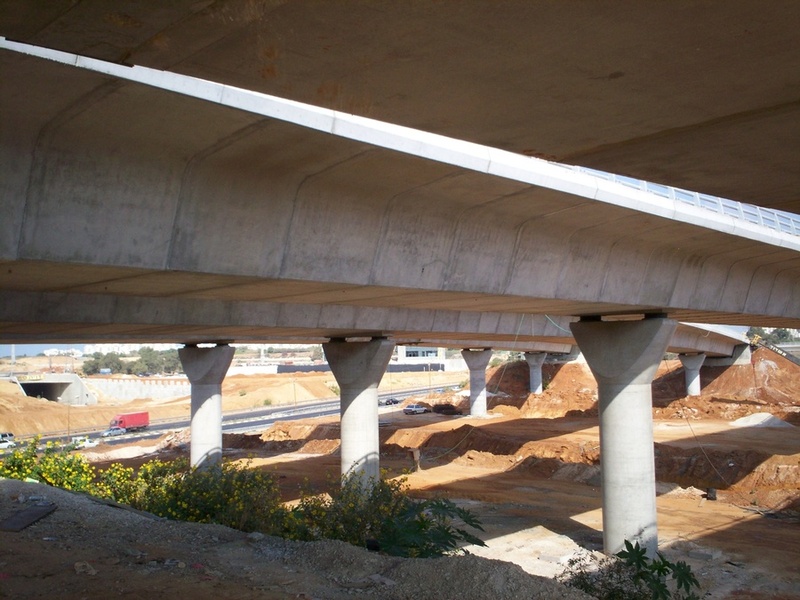 These benefits allowed for longer, constant-depth span lengths for the bridges while still meeting the interchange design requirements. 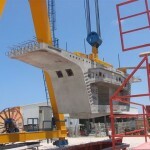 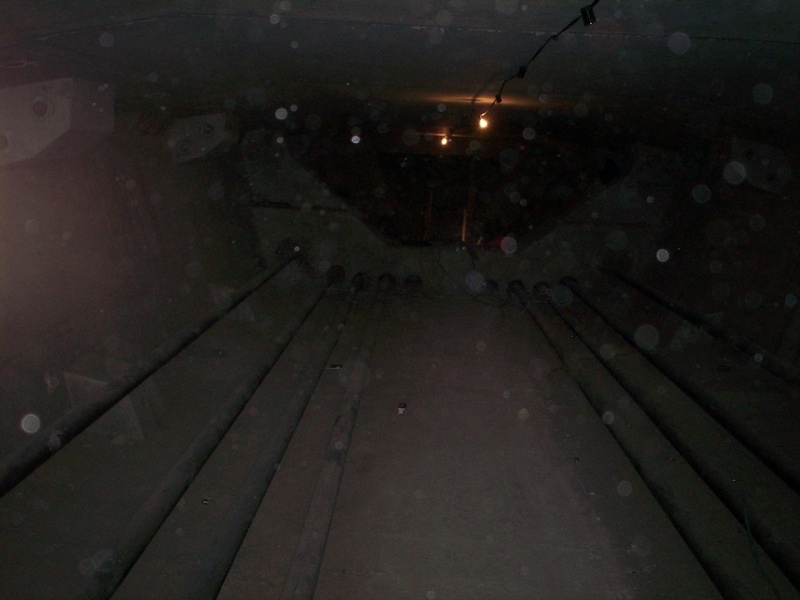 FINLEY provided superstructure design and construction engineering services. 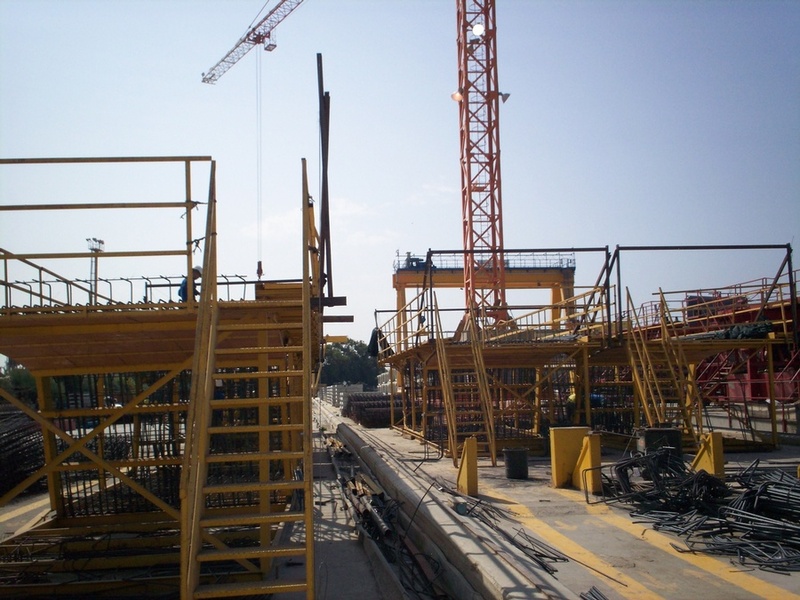 Construction Engineering services include shop drawings, temporary support design, construction analysis, casting geometry, post-tensioning calculations, and erection manuals.